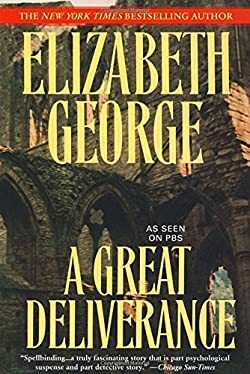 To read the Elizabeth George books in order of chronology, you should first pick up A Suitable Vengeance to start the series with, as even though it was written as the 4th in publication order, the story takes place before A Great Deliverance, so it is a prequel to the series. The Inspector Lynley books have sparked the creation of a BBC TV series based on the two main characters played by Nathaniel-Parker and Sharon-Small, which lasted for 6 seasons from 2001 to 2007. Thomas (Tommy) Lynley is a detective inspector with the New Scotland Yard, working with his partner Detective Sergeant Barbara Havers. Elizabeth George (website) is the American author of the popular Inspector Lynley series which takes place in Great Britain. Susan Elizabeth George was born in Warren, Ohio on February 26th, 1949. When she was 18 months old her family moved to San Francisco. She graduated from the University of California majoring in English, after which she received a teaching certificate from the same university. After she finished college, she began teaching English in a public high school, while at the same time working her way through getting certified in counseling and psychology with a master’s degree. Continuing her education, in 2004 she received an honorary doctorate in humane letters from Cal State University Fullerton, followed by an honorary Masters in Fine Arts from the Northwest Institute of Literary Arts in 2010. After close to 14 years of working in education, she quit her job when she published and sold her first novel A Great Deliverance, the first book in the Inspector Lynley series, which the author completed in less than a month. The Inspector Lynley series features Scotland Yard Detective Inspector Thomas Lynley (who is also the eighth Earl of Asherton) and Detective Sergeant Barbara Havers. Lynley is wealthy, handsome, and charming. He is so charming that his partner, Barbara often wonders why the criminals simply don’t surrender to his infuriating charm. The first of the numerous to come Elizabeth George books has won numerous awards, including the Anthony Award, the Agatha Award, and France’s Le Grand Prix de Literature Policiere. Her third novel, Well-Schooled in Murder won her Germany’s MIMI award. In the Punishment She Deserves, the 20th book in the series, the two detectives investigate the death of Ian Druitt, a respected deacon of the Church of England in the idyllic town of Ludlow. The death looks like a suicide, but it smells like murder all too much. Lynley only enters the scene a bit later, once Barbara Havers and another detective, Isabelle Ardery, do their preliminary investigation, but once he is there, things really heat up and become much more interesting. 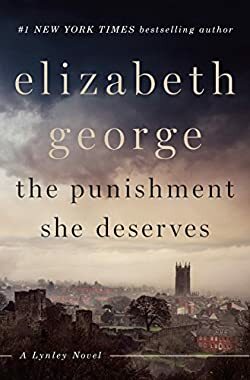 As usual, this latest of the Elizabeth George book is an excellent British police procedural in the usual style of the popular crime mystery author. Currently, the novelist has published some 25 books which have been translated into more than 20 languages. She writes books set in England because “I like to write about England“, finding the roots of her passion about the country back in the 1960s when The Beatles became popular in the US as well. The Elizabeth George books are not only set in England but are also written with a very British flavor. If you don’t specifically know the author’s bio, you’d think she was born on the island as well, even though she was born a continent away. I go on location to do the research. If there’s a place that’s in a book, I’ve been in that place, with the exception of the crack house in With No One as Witness. In 2018, the Inspector Lynley series reached not only its 20th book but also its 30th year of anniversary. Currently, the author and her husband, ex-firefighter Tom McCabe, have put their multi-million dollar house on Whidbey Island, Washington State, up for sale, and they both want to move to Seattle. At the age of 69, she wants to take a short break from writing the books. Not for long, though, as she doesn’t want to give up on her favorite series just yet. While you could read books as standalone, especially for the Inspector Lynley series, it is best to read the Elizabeth George books in order of reading.